What drives your decision when deciding who carries out each task? Is it based solely on costs? And how much do you take tenant preference into account? As competition to attract the best tenants increases and more companies claim to be tenant-centric; how does this credo manifest itself in practical day-to-day decision making? 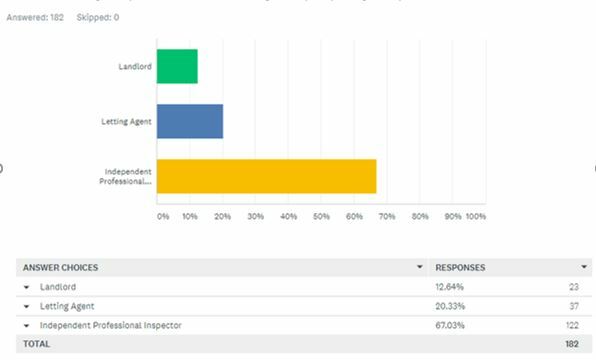 If putting the tenant first is in your DNA, then you need to read the results of a tenant survey that has been conducted over the last 12 months. When considering who should conduct your property inspections, the decision makers are very often, not the people who have ever carried out inventory work. They are inclined to have an overly simplified idea of what is involved and the time it takes to generate a report, a legally binding document that gives you the protection you believe you are being afforded. To illustrate the point on oversimplification, 2 years ago this inventory company took on a letting’s manager with over 10 years’ experience who, whilst on a career sabbatical, decided to train up on how to carry out property inspections. She completed the training but lasted just 1 day on the road before waving the white flag, confessing it completely opened her eyes to the level of detail required. There are other assumptions that need to be tackled, such as the idea that you save costs by employing a resource internally- this is a fair argument in the low season when you need to justify your fixed costs, however is this the key value adding task you want your team to be doing in high season, when your focus is more likely to be on ensuring minimal void periods and managing the new batch of tenants so they feel taken care of? Due consideration also needs to be given to the lifecycle cost of a tenancy. As much focus on upfront costs needs to be given to the costs when a tenant vacates. Ensuring whomever conducts your check-out inspection is adhering to up-to-date industry standards, to protect you from time consuming disputes and reputational damage. 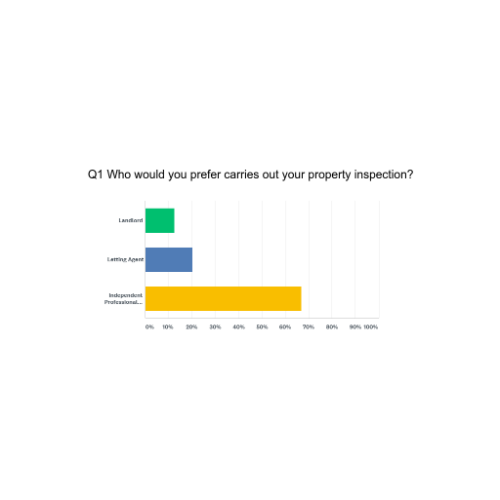 Who would you prefer carries out your property inspection? Tenants clearly want independent professionals to conduct their property inspections, they want impartiality. For corporate landlords, it demonstrates you are listening, taking one step away from the process and acting on the recommendations of an independent third party- further enhancing trust in your relationship. So, if your company strategy guides your decisions, and your strategy values the importance of listening to tenants, this is something to consider. LetCheck Inventories carry out independent property reporting that includes a comprehensive walk through so your tenants feel completely comfortable in their new home with the added assurance in our independent role at the beginning and end of the tenancy. We have been working closely with the corporate landlord sector for over 15 years.